4.1 The following types of products are or may be available on our website from time to time: [childrens toys]. 5.3 All amounts stated in these terms and conditions or on our website are stated [inclusive of VAT]. 5.5 In addition to the price of the products, you [will] have to pay a delivery charge, which will be notified to you before the contract of sale comes into force. 6.2 Payments may be made by [any of the permitted methods specified on our website from time to time]. 7.1 Our policies and procedures relating to the delivery of products are set out [in this Section 7] OR [in our delivery policy document]. 7.3 We will use reasonable endeavours to deliver your products on or before the date for delivery set out in the order confirmation or, if no date is set out in the order confirmation, within [7 days following the date of the order confirmation]; however, we do not guarantee delivery by this date. 7.5 We will only deliver products [to addresses on the UK mainland]. [the supply of goods which are, according to their nature, inseparably mixed with other items after delivery]. (a) [the total amount paid and payable to us under the contract]. you commit any[ material] breach of that contract. all the other provisions of these terms and conditions will cease to have effect, except that [Sections 1.3, 6.4, 10, 15, 16, 17, 18, 19 and 20] will survive termination and continue in effect indefinitely. 19.1 Subject to Section 10.1, these terms and conditions[, together with [our delivery policy and our returns policy],] shall constitute the entire agreement between you and us in relation to the sale and purchase of our products and shall supersede all previous agreements between you and us in relation to the sale and purchase of our products. 20.2 Any disputes relating to these terms and conditions shall be subject to the [exclusive] OR [non-exclusive] jurisdiction of the courts of [England]. 21.5 The name of the [alternative dispute resolution entity] that we use dispute resolution is [name] and its website address is [URL]. 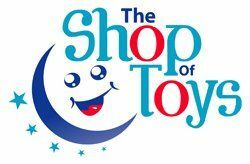 22.1 This website is owned and operated by [The Shop Of Toys]. 22.2 We are registered in [England and Wales] under registration number [number], and our registered office is at [address]. 22.3 Our principal place of business is at [33 Nunnery Lane, Worcester, Worcestershire. WR5 1RQ].